By now you’ve read the patch notes and seen some of the changes, but 6.86 is a massive patch. 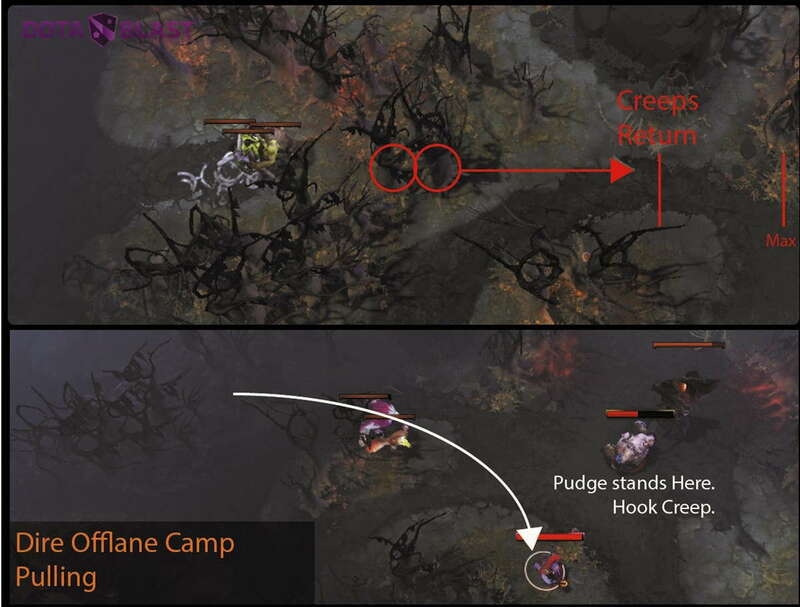 We’re going to be finding new game interactions for weeks, if not months, but I wanted to first look at one of the most impactful changes: the new offlane Hard camp. 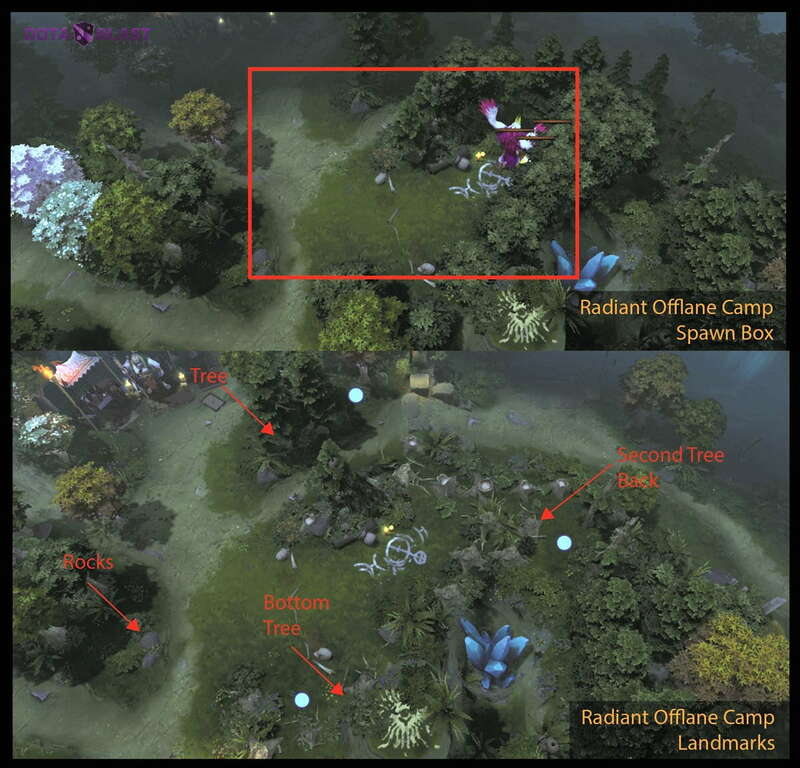 This camp exists by each team’s Secret Shop, both facing West (toward the Radiant-side offlane and away from the Dire-side offlane). The obvious question whenever camps are changed is regarding spawn boxes. Both of the new camp boxes are large and bleed into the Secret Shop. 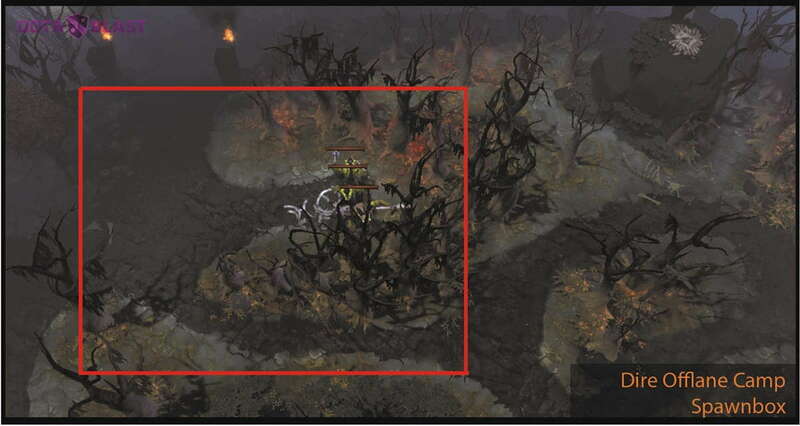 The Radiant side is difficult to visualize, so I’ve noted some landmarks and viable sentry (counterwarding) locations. Dire side seemed easier. It runs from the roots of the tree in near the bottom of the Secret Shop up to the stairs, then across to the gap in trees behind the camp and down to where the path splits. Notice that stacking this camp moving toward the shop can be tricky, but cutting down trees and stacking it moving toward the lane is not. The advantage of the Dire camp seems to be its easy access to the lane, whereas the Radiant side camp is easily accessed from the ancients. 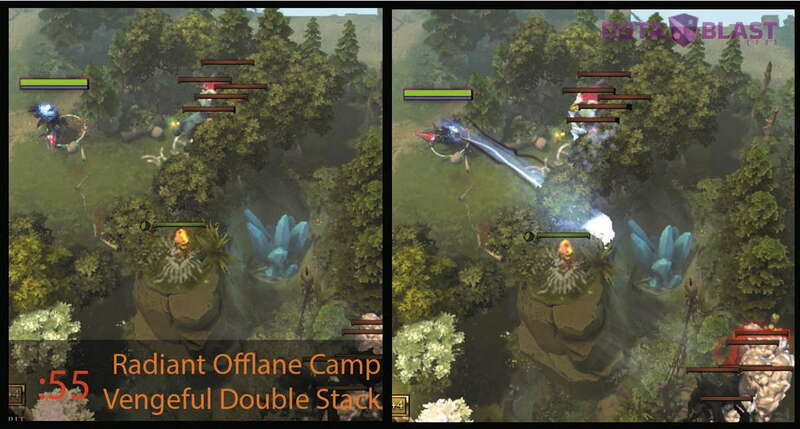 The Radiant side camp can be readily double-stacked by Vengeful Spirit from either side. To do so on the North (by the new camp), stand on the red flowers and throw Wave of Terror over both camps at X:55 (if not yet stacked), X:54 if stacked once or twice already, and X:53 if stacked more than once. Of course, after casting you’ll want to back to the Southwest (bottom left). The max stacks I achieved with this technique was four in each camp. From the ancients’ side, stand so both camps are almost completely to your North and follow the same timing. The trick to this is that the new camp must walk Southwest (toward your base). If you stand too far North, they will try to walk Northeast and will not exit the spawn box. The same can be achieved by Alchemist dropping Acid Spray from the Southwest corner at the same times. There is a slight delay before Acid Spray damages creeps, so be slightly earlier than you would with Wave of Terror. I tried with every other spell that goes through magic immunity, but couldn’t find many that would work. Spectre’s Spectral Dagger can also stack both camps, but the process is trickier and I don’t foresee it often being valuable to have practiced. From the ancients’ side, any hero with a distance damage dealing spell can stack, but will tank ancient damage to do so. Simply walk into the ancients, throw the spell (for example, Poison Wave or Shockwave) over the gap and walk south. Your presence in the ancient camp will have grabbed their attention, while your magic damage should get the hard camp’s aggro. The timing on this depends on the spell, but it will usually be about X:55. You’ll notice the camps on Dire side are too far apart for this process. While you can aggro both camps with some heroes, such as Vengeful Spirit, getting them both to leave the spawn box at the same moment has proven to be an exceedingly difficult task. With the new camp on either side, offlane has received a game-changing buff that will certainly shake the foundations of laning theory. One side-effect of this change is the sudden availability of the offlane pull. Offlane pull heroes include Pudge and Tiny. There may be more options, but after extensive testing I have not yet found a way to use Tusk’s Ice Shards, Earthshaker’s Fissure, or Clockwerk’s Power Cogs to force neutrals into pathing into lane (or vice-versa). Interestingly, the offlane now always paths on the far side of their own towers and do not hook in toward the enemy base until they reach the far edge of the map. This puts them far out of reach from a normal pull on the offlane hard camp. You can get neutrals to path slightly further out if you hook them from the camp, or if you cogs them and force them to walk out toward your tower. It still isn’t enough to draw your lane’s aggro, although it is enough to get your tier 2 tower to attack the camp; although it is slow, an offlaner with no other options can weaken this camp with the tower in order to get small amounts of gold or experience. In order to pull the Dire-side, there are two trees to eliminate, allowing you to pull the game straight back toward your lane. So how do we pull? The easy answer is with Tiny, who can draw neutrals out and throw them into his lane by targeting his own creeps wave. Be absolutely sure to throw the strongest neutral available so it doesn’t die to three or four tower hits while in lane. Pudge can also pull the wizard from level one, although I haven’t been able to reliably interest the melee creeps. However, with a support, a full wave can be pulled; the support draws the neutrals back toward the lane, while Pudge waits by his tower. As the creeps hit their limit, Pudge hooks one into the tower (and lane creeps) to pull the lane. Once again, it’s really important to hook the strongest creeps available, because the Tower will do serious damage to the target. The support will need to pull the creeps about six seconds after they spawn. This camp is more difficult, but there is an added benefit. Pulling with Tiny is still the same process: simply pull the neutrals out and toss one at your creeps. 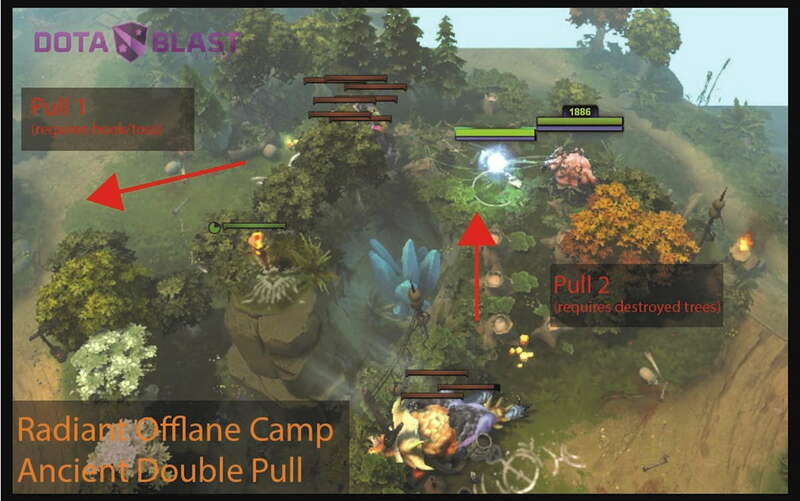 Securing the aggro with Pudge can be trickier, because there is no direct route from the camp to the lane. 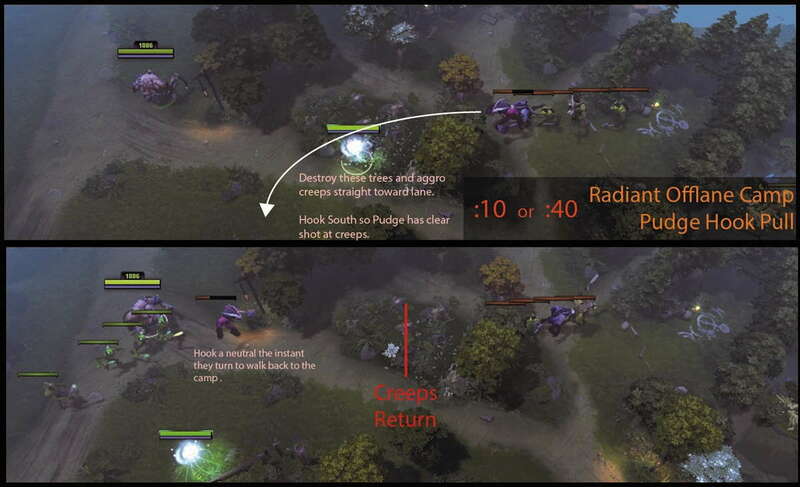 With a support pulling and a level one hook, you can reliably grab the ranged creeps. On waves with catapults, you can sometimes grab the entire wave, because those waves path differently. Either way, it’s a crapshoot. However, if you knock down the cluster of trees between the lane and the camp, a level two hook can reliably aggro the entire wave. Unlike the Dire side, though, there is a pull-through option on the Radiant: with Io (or a quelling blade and some patience), the Ancient camp can be pathed to the hard camp. The obvious advantage to stacking in the offlane rather than the safe jungle is that the camp is far more secured; opponents’ access to your Secret Shop is minimal (with decent warding) until later in the game, meaning the likelihood of jungle contests is much lower. In addition, the odds of an unseen opponent hiding and leeching experience are much lower if the stack is in your offlane near your tier two. Historically, safe-lane trilanes are better for securing farm on a carry and early game pressure, which requires supports to catch up in the mid-game. The strategy continues to be popular for teams which rely heavily on their farming carry with later-game victories. Dual lanes are better for more passive early game and a smooth, quicker transition into the mid game, because heroes on your team get more even experience gains. This is popular for teams that use TPs to rotate and are extremely objective-minded. 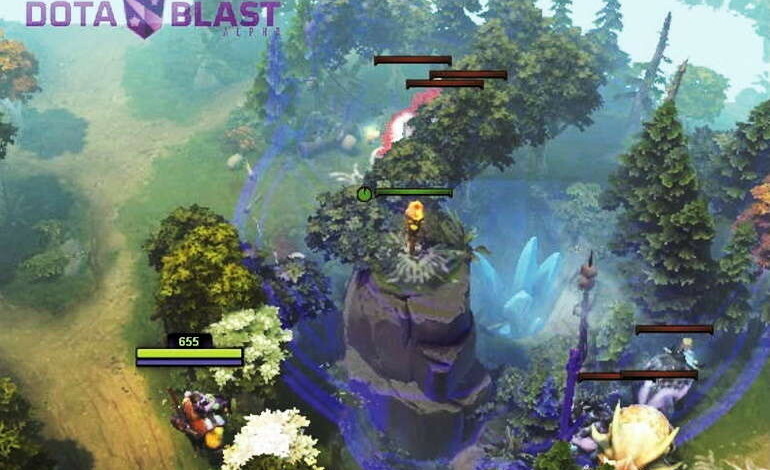 Dual lanes are typically more difficult to utilize in ganks, partially because rotating a support out of the offlane is expensive: the walk to mid or top is a long investment and the support has to take a long route to avoid being seen by wards. However, with access to a jungle camp in the offlane, supporting here should be increasingly valuable. Rotations are easier when opponents are unsure if you have rotated to gank or if you are clearing a jungle camp. Enchantress took a lot of indirect buffs this patch, especially for the offlane; not only does she have access to a hard camp to Enchant a creep, but those creeps do 10% more damage to towers due to a change in damage types. 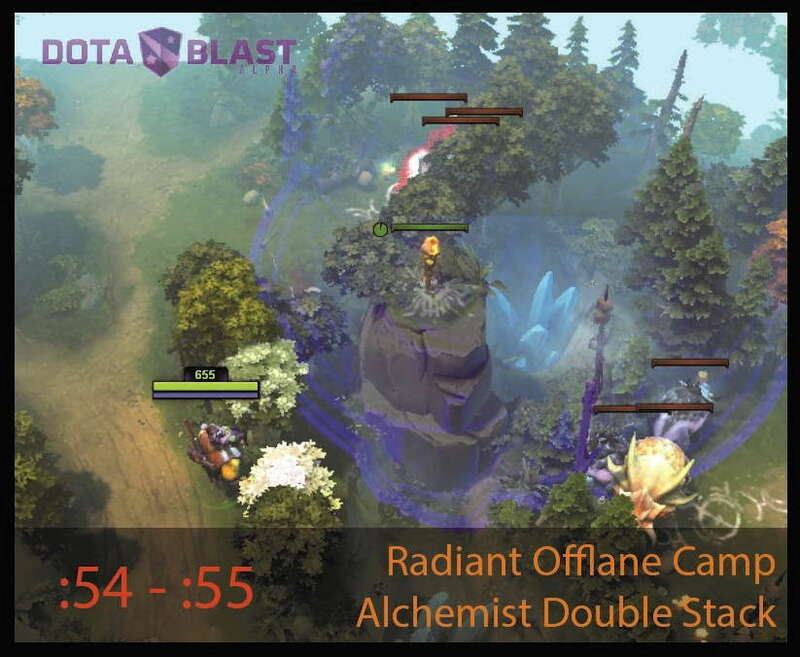 In addition, the increase in options from neutral creep buffs alongside the Radiant-side jungle change (which moved the hard camp to the edge gives better access to the Dire offlaner), Enchantress has more viability in the Dire-side offlane than ever before. It’s pretty clear this was on the designers’ minds, as Roshan’s attack speed changes specifically help reduce his susceptibility to Untouchable and other attack slows. Chen saw many of the same indirect buffs alongside a strength buff and a significant early-game duration increase to penitence. With the new offlane hard camp, his value as an offlane support has skyrocketed. He can rotate into lane with an 8-second slow, stack or clear a hard camp in complete safety, and trade right clicks with lane opponents with less punishment thanks to his increased health pool. Last patch saw an increase in 2-1-2 play or 1-1-2 roaming support play. 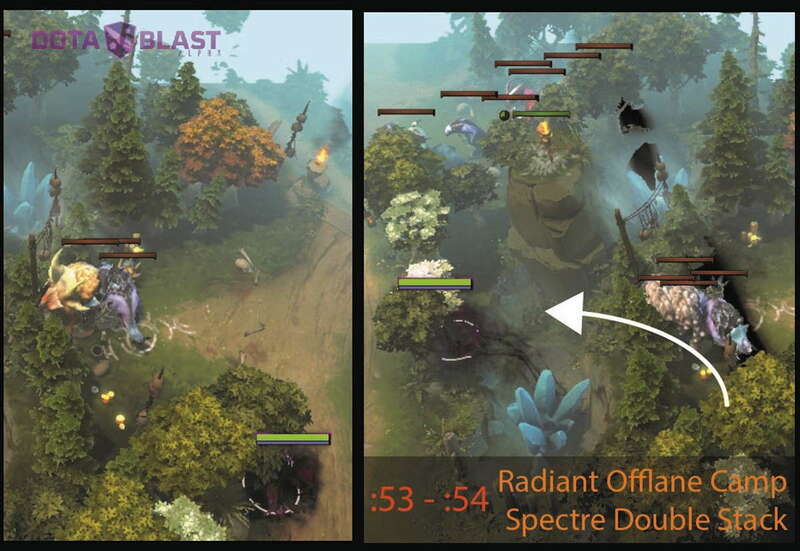 In your own games, I’d recommend serious experimentation with the new offlane; with some compositions, it may even be reasonable to run the farming carry with a support duo that can pull in that lane, because pulls from the offlane are significantly more difficult to contest. Gorgon the Wonder Cow is a long-time patch analyst and freelance Dota writer, caster, and content-creation machine. You can follow him on Twitter @theWonderCow. other than that…i loved reading this.